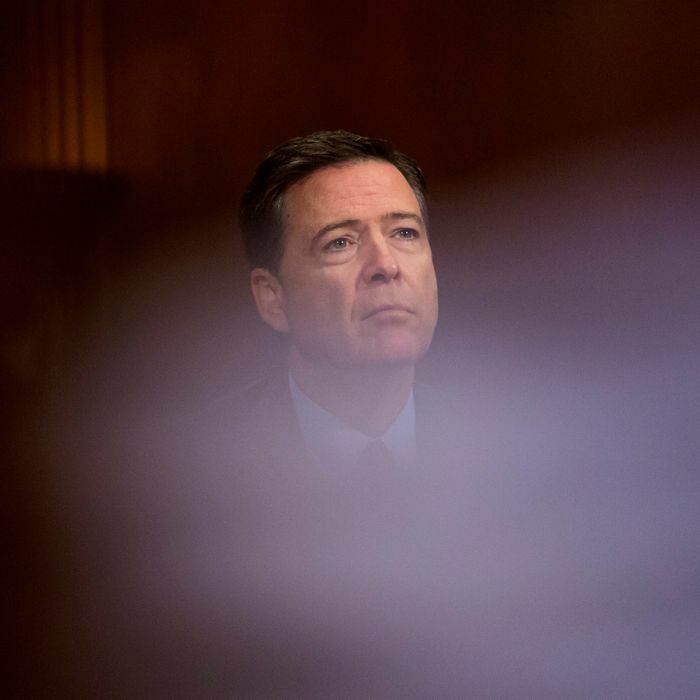 President Trump will apparently not try to cite executive privilege in an attempt to block the Russia-investigation-related testimony of fired FBI director James Comey, according to two senior Trump administration officials who spoke with the New York Times. Assuming the oft-impulsive president doesn’t change his mind, the report would seem to quash earlier caginess on the part of Kellyanne Conway and Sean Spicer regarding the issue. On Friday morning, Conway suggested that Trump might claim executive privilege in an attempt to prevent Comey from testifying at a Senate Intelligence Committee hearing next Thursday, and Spicer kept that thought balloon intact when asked about the possible strategy at a White House press briefing later in the day. Comey is widely expected to give damaging testimony about conversations the president pursued with him regarding the FBI investigation into the possible ties between former National Security Adviser Michael Flynn and foreign governments, but it’s highly unlikely that Trump would have ever been successful in using executive privilege to silence him. Indeed, House Democrats warned White House counsel Donald McGahn as much in a letter they sent him on Friday night.